A large patient pool plus growing pharma market opportunities are making China increasingly attractive for clinical trials, according to a recent survey. Steadily increasing drug development costs and timelines, plus access to large global patient populations, make China ever more attractive for conducting clinical trials. A recent survey1 investigated this trend, companies’ involvement in trials in China, the impact of recent regulatory changes in the country, plus whether they used their own infrastructure and resources or in-country partners. Respondents were from international pharma companies, contract research organisations (CROs), academic institutions, service providers, consultancies and laboratories, with positions in R&D, clinical, business development, corporate management, regulatory affairs, quality assurance, strategy, planning, and medical affairs. 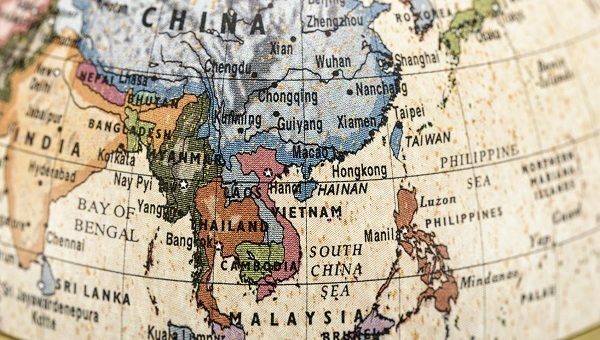 Although North America and Western Europe remain the predominant regions for clinical trials, studies are steadily migrating to Asia at the expense of those areas. A total of 41% of the respondents currently conduct clinical trials in China, and 33% of all respondents have increased the number of trials enrolled in China in the past two years. The reasons cited for increasing their presence parallel those for working in China in the first place: the country’s large pool of patients (mentioned by 71%) and its sizeable and growing pharmaceutical market (65%). Interestingly, only 6% attributed their decision to hold more trials in China to lower costs. For the respondents whose companies increased the number of trials in China, some business and job segments are more likely to view China’s large patient pool as of primary importance: 88% who work at pharma companies and 86% in R&D see population as the major driver for the increase. For companies that had not increased the number of trials conducted there in the past two years, the two most common reasons cited were concerns over quality (27%) and delays in study start (24%). Respondents from companies headquartered in the US were more likely to name quality as a reason for not increasing clinical trials and less likely to blame study start delays. Language barriers, logistics and supply difficulties, as well as lack of sufficiently-trained clinicians, were other reasons making China less attractive for clinical trials. Companies that conducted research in China were twice as likely to work with a Chinese partner as have their own infrastructure. At the end of 2013, China’s health care regulator, the National Health and Family Planning Commission, launched a three-year anti-commercial-bribery campaign targeting 10 large cities and provinces. The commission issued two sets of rules to curb corruption and unethical conduct in the health care industry, Rules on the Establishment of Commercial Bribery Records for the Purchase and Distribution of Medicine, and the Nine Prohibitions to Strengthen Ethical Conduct in the Healthcare Industry, which outlines rules of conduct for industry. Although the new rules do not explicitly change Chinese commercial bribery laws, they reflect the commission’s increased efforts to stamp out corruption and, in the process, raise many important questions for pharma and medical device manufacturers doing business in China. In this survey, most respondents were uncertain about the impact of the new regulations or knew nothing about them. Among those who were aware of them, about three in five (61%) felt the Nine Prohibitions regulations made China a more attractive place for trials, while 39% did not. Seven in 10 respondents believed that China’s Administrative Measures for Clinical Study Projects at Medical Institutions, which aim to better align procedures for good clinical practices, made China a more attractive place to conduct trials. Global clinical trials will inevitably increase in China and other developing markets as 68% of respondents forecast growth in China; 51% in India; and 49% in both Latin America and other Asian countries. This growth will cause an unavoidable decline in activity in traditional clinical trial sites, however: 51% forecast a drop in Western Europe; 43% in North America; and 19% in Australia/New Zealand. The migration of clinical research from developed to developing nations has been going on for some time, with the reasons most frequently cited being large native subject populations, low operating costs and increasingly stable testing infrastructures. As this survey shows, although the large pool of patients is a key motivation, nearly two-thirds of those planning to increase the number of trials they conduct in China are doing so because of China’s large and growing market opportunities. As companies working in China overcome language barriers, logistics and supply issues, and China itself addresses the lack of sufficiently-trained clinicians, the numbers of clinical trials, in China and other developing countries, can be expected to keep rising. 1 Survey conducted by Applied Clinical Trials and SCORR Marketing. 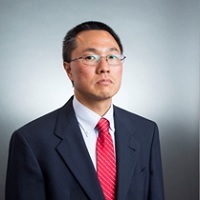 Howard Wong is a market analyst at SCORR Marketing. Experienced in both qualitative research and quantitative methods, he applies statistical techniques to pull core, actionable information from a tangle of raw data. With a bachelor’s degree in marketing and both master’s and doctoral degrees in political science, Howard designs studies, collects data and analyses results to yield meaningful market intelligence.